The most exquisite limousine bus rentals in Oshawa! Our fleet of elegant and luxurious party buses and limousines is simply unmatched. It contains many different types of limos and includes a wide variety of vehicles that can carry many passengers. The limo bus, for example, is one of the largest buses that we have and it can take upwards of fifty passengers. 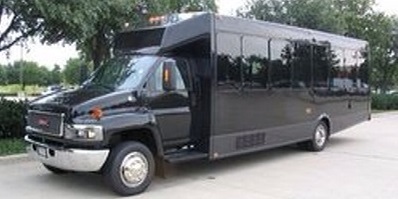 We also have smaller party buses that can accommodate a lesser number of passengers such as twenty or thirty people. In addition to our incredible fleet of limousine buses, we also have a great variety of stretch and SUV limos. Some of these can carry anywhere between ten to sixteen passengers. 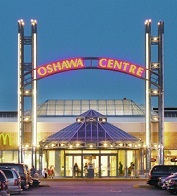 Our limo bus service in Oshawa is perfect for all your special events. That is particularly true for weddings and proms. Our Oshawa wedding limo service is considered tops in the city. It comes with many perks and exciting features that make our wedding and prom bus rentals an excellent choice for the people of the city. Check out this article to learn about some of the more requested features for wedding party buses. Renting a wedding limousine bus from our fleet is as easy as giving us a call and asking to see the options available on that particular day. Of course, our fleet is booked quickly, which is why we usually recommend that you book your limo in advance by at least one month. We always try to accommodate requests as much as we can. If the particular limousine that you choose is unavailable on your requested date, we have a network of partners who can provide you with a similar vehicle to satisfy your needs. We are considered by many as one of the top and highest quality limo and party bus rental company that serve Oshawa, the GTA and the rest of southern Ontario. One of the most common occasions for renting a limo in Oshawa is the bachelor party. Of course, a bachelorette party is also just as common. Using our limos for bachelor and bachelorette parties is a great way to ensure that you and your friends are going to have a great time. It is also one of the most important methods to keep yourself safe on this night. By having a chauffeur who will drive you around, you can fee safe in drinking and having fun, while knowing that no one will be exposed to the possibility of 'drinking and driving.' You are about to embark on a very special event, so safety is of the utmost importance. We also provide limousine rentals for many other events such as corporate outings, company parties, casino trips and more. All you have to do is give us a call, and one of our representatives will be more than happy to guide you through the process of renting a limo from us. You will be very glad that you chose to work with us because we value our customers more than anything else. We always over deliver when it comes to providing the most exciting and elegant limousine transportation to the residents of Oshawa. Call us today for a free quote or visit our main site for more details about our services.